Acer was among the first to release a netbook back in 2008 and its Aspire One range has gone from strength to strength ever since. The Aspire One D260 is the latest addition and what it lacks in storage it compensates for with all-day battery power. In the netbook market in general, the compact chassis is ideal for regular travel and use around the home. Weighing 1.2kg and with a depth of just 30mm, the slim design lets it slip easily into even the smallest hand luggage. Powered by a slim 6-cell battery, battery life is fantastic without adding any undue bulk to the chassis. Running for nearly nine hours under the most demanding use, it delivers enough power to keep you working throughout the day. Despite the slim dimensions, a decent sized keyboard is in place and all the keys are large enough to comfortably type at speed. The board is firmly fixed to the chassis, with no flex on show, and all keys respond smoothly and accurately. More surprisingly, the Acer's touchpad is equally well sized and comfortable to use. While many netbooks feature tiny pads that can be fiddly to use, the Acer's wide touchpad makes it easy to navigate onscreen. Where all netbooks are alike is the limited performance they provide. Powered by an Intel Atom processor – a chip designed solely for compact, low-cost devices – the Acer only suits the most basic of use, such as word processing, browsing the internet and sending emails. Graphics are equally limited and are intended for multimedia consumption, rather than creation. Video plays back smoothly, with even high-definition 1080p content handled with ease, but don't expect the power of a similarly priced full-sized laptop. That's not to say that the Acer is no good for entertainment use, however, as the glossy 10.1-inch screen is suitably bright, with vibrant colours and deep blacks. This makes it great for viewing photos and videos and a perfect choice for kids to use. Where the Acer falls slightly short of its rivals is its storage. While the Asus Eee PC Seashell 1015PE and Dell Inspiron Mini 1018 are fitted with 250GB hard drives, the Acer's 160GB drive seems a bit stingy in comparison. As with most netbooks, there is no built-in optical drive for accessing CDs or DVDs. With so little to differentiate most netbooks currently on sale, it takes a unique feature or two to really stand out. The fantastic battery life and great usability of the Aspire One D260 are what raise this machine above its similarly specified rivals. 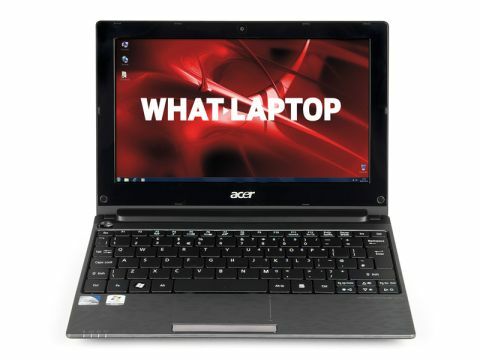 A really terrific netbook at a great price.